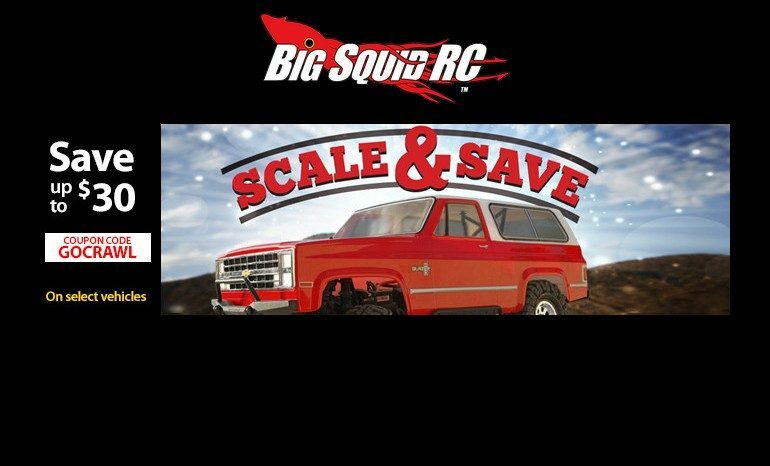 Horizon Hobby Scale And Save « Big Squid RC – RC Car and Truck News, Reviews, Videos, and More! Perfectly in time for the approaching holiday season, Horizon Hobby has announced their Scale And Save event. The scale and save event can save you up to $30 on a new Horizon Hobby crawler. Some of the Losi trucks that are in the event include the Night Crawler 2.0, Rock Rey, and Baja Rey. For ECX they include the Barrage kit, Barrage RTR, and the Barrage Doomsday. Also included from Vaterra are the Twin Hammers RTR and kit, the ’72 Ford Bronco, the K5 Blazer RTR and kit, and the ’72 K10 pickup. To get full details on the Scale And Save event you can hit up This Link, or you can Click Here to read more Horizon news on Big Squid.